Have a programming interview to crack? We have found (arguably) one of the best interview book for preparing yourself. You must be well prepared for a programming interview since you only get one chance to prove your coding skills in a short time. Learning programming can be done by picking best programming book, however cracking an interview is not only about knowing programming but also about answering the question in given time. If you are planning to appear for a computer programming interview at any software company, I highly recommend studying this book at least once. This book contains problems, strategies and approaches that will help you in a tech interview. The book is written by Gayle Laakmann McDowell, who's the founder and CEO of the company, Careercup.com and also the author of the books The Google Resume: How to Prepare for a Career and a Job at Apple, Microsoft, Google, or any Top Tech Company. The main objective of this book is to prepare the candidates for interviews when they apply for programming jobs in top tech companies such as Google, Microsoft and Apple. The book has been written by Gayle Laakmann McDowell who has herself given interviews in top tech companies. After joining the company, she herself had taken lot of interviews as a recruiter. Here, in this book she has given detailed information about how to prepare for coding interviews which are asked at top tech companies such as Google, Apple or Adobe. Although, this book has been written for the candidates who aspire to join the top tech companies, it is a must read for anyone in the IT industry. 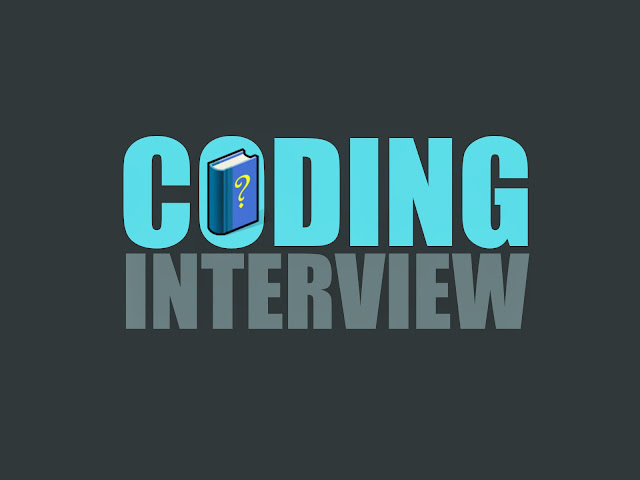 The author has given a sample of coding questions which are asked in the interviews and what is the best approach for solving the questions thrown at you by the interview panel. There is also a possibility that the questions which you have practiced from the book may get asked during the interview. The book offers guidance for the candidates who want to join top tech companies such as Google, Apple and others. Some of the candidates do n have a vague idea about how to prepare for the coding interview, where he or she has to write codes on the whiteboard in front of interviewers. As Gayle has been on the both sides of the desks and have lot of experience, she has included 150 programming questions which can be asked in the coding interview and advocates the right approach to the candidates for coding interviews. As one reviewer commented, this book does not tell you what to think, but rather teaches you about how to think for solving any questions in the interview. In addition to that, it also prepare the candidate on the hard edged interviews in top tech companies where one has to go to the white board and write codes in front of seasoned interviewers. This book is a complete compilation of various problems, strategies and approaches which a candidate should know for getting a job offer in any tech interview. When a candidate is daunted about the vast preparation he needs to do in order to do well in the tech interview, this book is the best solution for this purpose. This book has 150 questions which has been divided by categories and covers all the relevant area which are required for a successful interview. The book starts with various chapters which are focused on non-coding aspects such as resume, company info and behavioral aspects. The rest of the book is devoted to the coding questions and approach to solve the questions. The author does not promise that the candidate will get the questions outlined in the book at the interview, but her focus is on teaching the candidates the approach for solving the questions posed at the interview. This is what makes the book remarkable and it helps the candidates enormously. As per the reviewers of the book, there are a handful of negative aspects in this book. One reviewer, who himself has been on the both sides of the desk at the top tech company, says that the book covers only basic questions, which he has not heard during his time taking coding interviews in companies. Moreover, a number of readers have also complained about the coding style of the author, which is not very easy to grasp. The book has become very popular with the targeted group which comprises of the hopeful aspirants who want to work in top tech companies. These candidates should read and solve the 150 programming questions as it teaches them the right approach to tackle coding interviews. In particular, the sections "Recursion", "Moderate Interview Problems" and "Hard Interview Problems" comprise of some excellent coding algorithms which will benefit aspiring coders immensely. Furthermore, the software engineering skills of candidates will get honed by this book. Undoubtedly, this book is a must read for future coders.